Will 'Jurassic World' stomp Pixar's box office streak? One of the most remarkable streaks in box office history may be coming to an end this weekend. Pixar, the famed animation studio owned by Disney (DIS), has never had a film not open at #1 at the U.S. box office. That's 14 films -- everything from 1995's "Toy Story" to 2013's "Monsters University" -- spread out over nearly 20 years. The studio's latest film, "Inside Out," opens this weekend to a lot of buzz, but it's up against box office monster "Jurassic World" which is heading into its second weekend of release. The Universal dinosaur thriller broke pretty much every box office record imaginable last weekend, and is projected to bring in about $100 million for its upcoming second weekend in theaters. The projected haul for "World" is considerably more than what industry analysts are predicting for "Inside Out," which is forecasted to make $60 million to $70 million. The film made $3.7 million for its preview screenings on Thursday night. "The talented team at Pixar has created a wonderful and relatable film, and we're optimistic this will translate into commercial success this summer," said Dave Hollis, Disney's executive vice president of theatrical distribution. Obviously these are all projections that could fluctuate up or down, but if they hold true then Pixar's two decade streak of #1s will be no more. 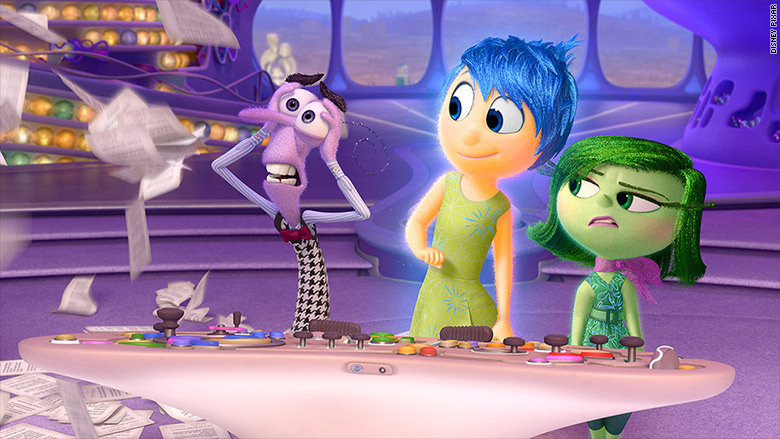 However, that's not to say that "Inside Out" isn't a worthy member of the Pixar canon. 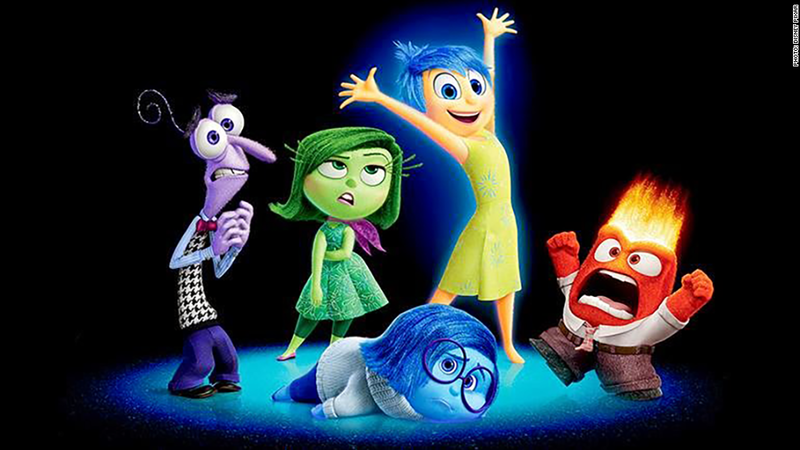 This weekend's box office bounds to be both happy and sad for Pixar's "Inside Out." The film currently holds a near perfect 99% fresh rating on review aggregator Rotten Tomatoes receiving acclaim from nearly every critic who has reviewed it. "Pixar's 15th feature is another landmark, an unmissable film triumph that raises the bar on what animation can do and proves that live action doesn't have dibs on cinematic art," wrote Rolling Stone's movie critic Peter Travers. Some have even gone as far to say that it's Pixar's best film ever. "From our premiere in Cannes [Film Festival] to preview screenings and reviews, we are thrilled with the enthusiastic critical response Inside Out has received," Hollis added. And that's saying something considering that the award-winning animation studio is a huge brand in Hollywood with a worldwide box office total of roughly $8.5 billion since 1995, according to Rentrak (RENT). That's bigger than franchises like Harry Potter and Star Wars, and comparable to another Disney owned brand, Marvel. So while Hollywood may be sad to see Pixar's incredible streak come to an end, "Inside Out" looks to bring nothing but joy to the box office this weekend.